For a brief window last October, as Brexit recriminations puddled into flop sweat and the global migrant crisis reached a desperate pitch, a golden ticket could be had: Tom Sachs’s Swiss Passport Office, which took up residence in Galerie Thaddaeus Ropac for 24 hours, was ostensibly a performance piece, meant to prod at the arbitrary nature of land borders and the transactional economy of global migration, and the way travel documents can take on the sheen of luxury goods, and forged copies the dun of bootleg Chanel bought on Canal Street. His new exhibition, The Pack, which opened in Vito Schnabel’s St. Moritz gallery a few days after Christmas, wades a bit deeper into the Zugersee. 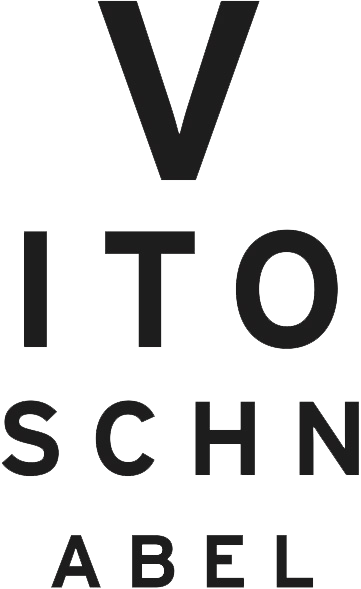 “I always wanted to be Swiss, and not just for the Helvetica,” Sachs tells me in the block-through wunderkammer of his Centre Street studio, the week before the St. Moritz show is set to open. “There’s a status to it. For those of us who are unhappy with what we’ve got, there’s always something else. The grass is always greener.” An assistant bring us coffees in little wabi sabi ceramic cups with the NASA logo lettered in red. Behind us, a five-foot dioramic sculpture of the Matterhorn, planned for a later exhibition, waits for Sachs’s attention. The show’s title piece is based loosely on Joseph Beuys’ 1969 installation The Pack. “Really loosely,” Sachs clarifies. “I’m not even sure what that piece is about.” Materially, Beuys’ installation is 20 wooden sleds pouring from a Volkswagen bus, each with a rolled-up felt blanket, fat, rope and flashlight. Sachs’s update is three dirt bikes, each named for large African cities and fitted with machetes and BB guns. They both have something to do with energy exchange and transformation and redemption. Beuys, whose own redemption story is one of modern art’s wildest, was saying something about human obligation and our capacity to survive, an optimistic worldview predicated on our willingness to see each other. Sachs’s more obliquely references the Swiss Guard’s mercenary roots, and the ways in which we sell our love, perhaps not to the infallible leader of a global religion, but definitely to brands, and how making art can resemble the same transaction. There’s a bijou representation of that consumer genuflection here in the shape of a quilted petit four of a Chanel handbag, assembled from plywood and displayed on an eye-level plinth, an altar to bootleg Veblen goods. In the St. Moritz show, elements from previous cycles bleed in, like the searching Moon, a roughed surfaced painting on plywood, or the hand-thrown ceramic coffee cup positioned under the landhausmode of a discomfitingly sexualized coffee machine styled like the beloved Alpine orphan Heidi, similar to those that figured into the tea ceremonies, but with the NASA logo supplanted by a small Swiss flag. The iconography of that flag reverberates like the codes of a storied fashion house. Power ranking passports is in many ways tantamount to the way the super rich have gotten into disaster prepping, building fallout bunkers complete with Bordeaux storage, and that’s partly the point. “Any hobby is an expression of wealth,” Sachs says. “It means you have enough money to do something else besides survive.” Swiss Passport Office is a refraction of global turmoil, but also how turmoil is propped up by self-interest and complacency. Neutrality meant Swiss documents were a coveted lifeline out of Nazi Germany, but also allowed the Nazi horror to proceed unchecked. 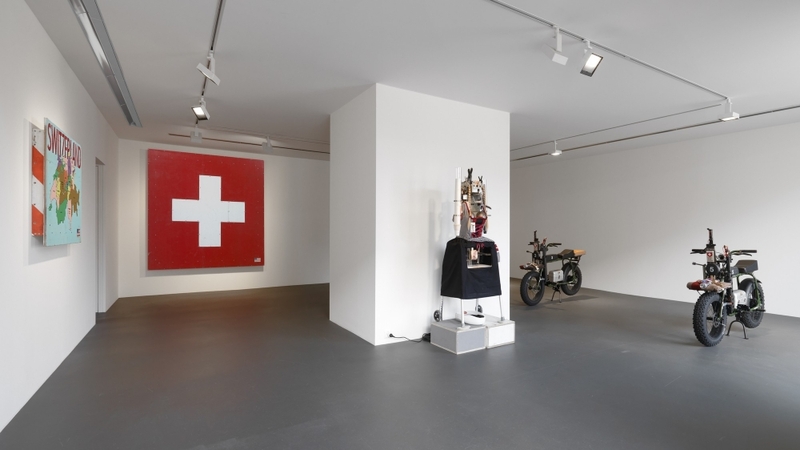 Image caption: Installation view: Tom Sachs, The Pack, Vito Schnabel Gallery, St. Moritz, 2018-2019. © Tom Sachs; Photos by Stefan Altenburger; Courtesy Tom Sachs Studio and Vito Schnabel Gallery.